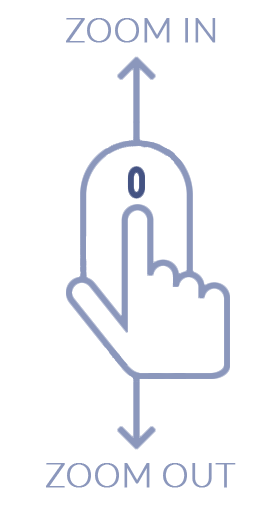 Total Carat Weight: 2.22 ct.
A lovely curved prong setting is just one of the stunning elements of the design of these alternating gemstone and diamond hoop earrings. 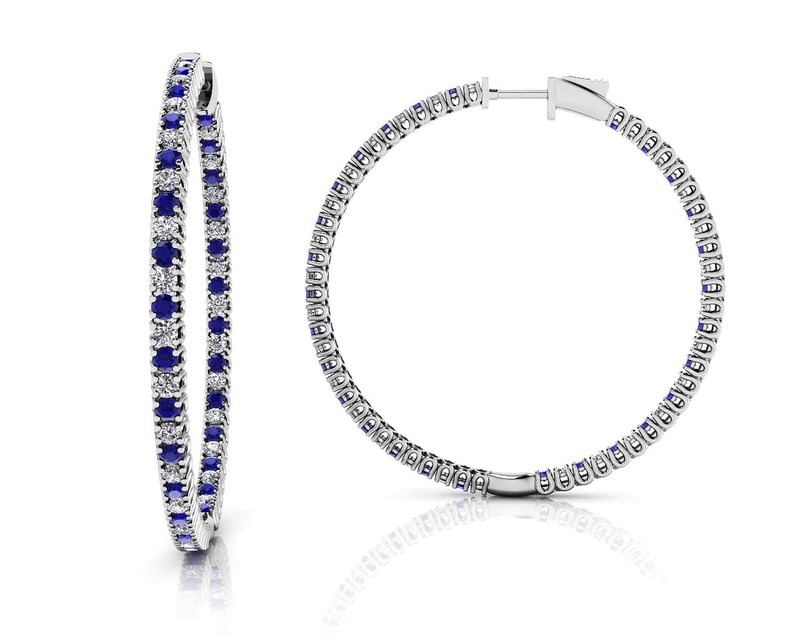 These hoop earrings feature an inside out hoop design with the gemstones and diamonds set along the front side of the earrings and inside the hoop. 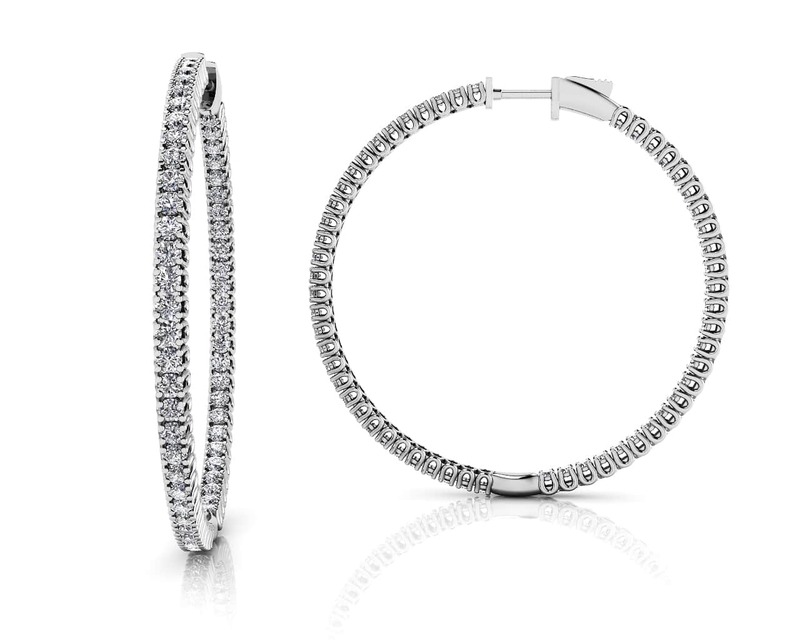 These extra large hoop earrings are 1.8” high and are available in 4 different sizes. 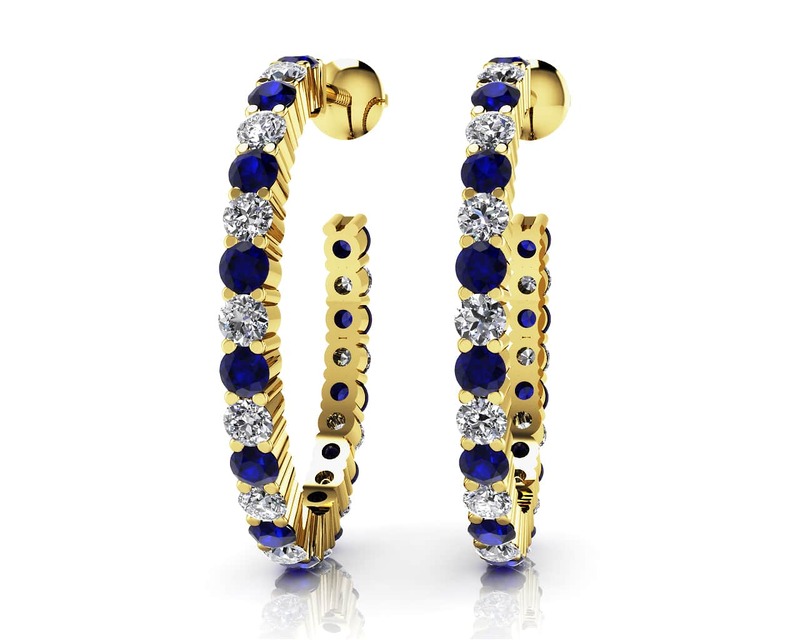 Create the ideal pair of hoop earrings when you customize the gemstone selection, metal type, diamond quality and size. Model Carat Weight: 2.22 ct.
Stone Carat Weight: 74X0.015 ct., 74X.015 ct.